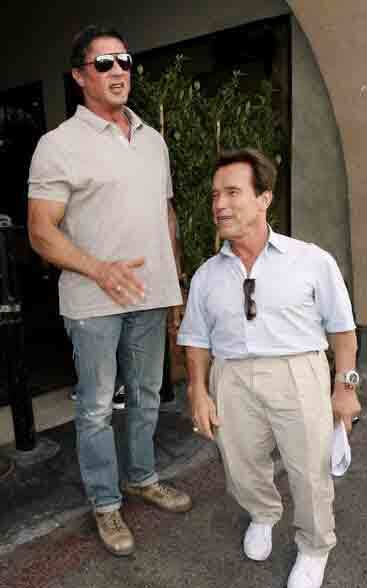 Welcome to the premier Schwarzenegger 'Height-Site' on the internet. We pride ourselves in being the ONLY site dedicated to Arnold Schwarzenegger's vertical measurement. After a brief 5 year break, we're BACK. 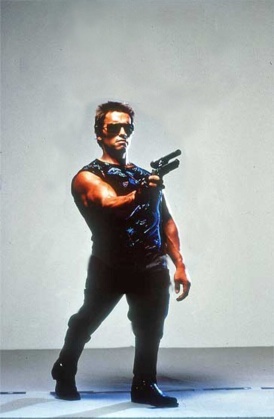 Offline for nearly a year, but like Arnold in T2, we re-routed power and we're back online. In 5 years, we've become an obsolete design (the site that is - not the Arnold height debate, which continues to thrive). We will be getting an appropriate make-over soon. Rumours have begun circling that suggest that Schwarzenegger is back in shape to a level at which he was in 'Terminator 3', ready for filming 'Expendables 2'. Given the numerous press articles ridiculing the decline in his stature over the past 10 years, it will be interesting to see if the 64 year old Arnold can silence his critics. Good heavens - we're nearly 5 years old! Time goes quickly when you make one update a year. More insight into the recent Schwarzenegger developments and what else we've been able to learn of his height to come soon. Video: Adolf Hitler gets angry about Arnold's height. (opens in a new window). Following on from the now dated trend of making videos from 'Downfall', Arnoldheight.com has made this video. Does not necessarily reflect our views. New Article (FINALLY) 'Arnold Talks Height : Arnold's own take on his height'. Arnold discusses his height in detail for a recent interview. Click here (opens in a new window) to see the video of his interview with Phil Bronstein, where he discusses 'shrinking' and his children measuring him at 6'1". A related article to follow soon (OK, so it's going on 3 months, but we'll get there!). New Article 'Height Termination : Terminator 2'.